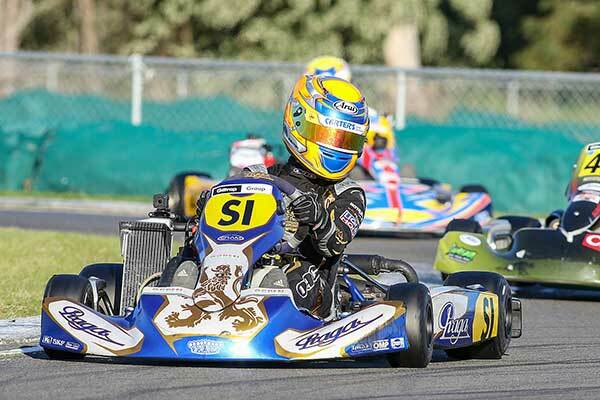 Auckland KZ2 class driver Graeme Smyth completed his return to the country’s kart tracks in style over the weekend with class and Open GP race wins at the Carter’s Tyre Service 50th Blossom Festival Grand Prix meeting in Hawke’s Bay. The 27-year-old has been drifting and racing GT3 cars of late and has only been back behind the wheel of a kart for the past two months. Despite the break he dominated the KZ2 class, winning five of the nine heats, and claimed the $1000 cash prize for winning the standalone Giesen Classic Cuvee Open Blossom 50 Lap Grand Prix. The annual ‘Blossom’ meeting at the KartSport Hawke’s Bay club’s Carter’s Tyres Raceway at Roys Hill on the outskirts of Hastings is the longest-running sprint kart event in the country with a unique two-day format which sees drivers race round the 687m track in a clockwise direction on Saturday then anti-clockwise direction on Sunday. Smyth was the dominant driver in the Open class (which incorporated a separate KZ2 class-within-a-class classification) leading home Palmerston North pair Jacob Cranston and John Wallace in the KZ2 points standings and Cranston, Open class winner Daniel Bugler, and Josh Bethune in the Giesen Open 50 Lap Grand Prix. Former Dunedin, now Auckland-based Bethune again proved his versatility, not to mention race fitness, by finishing third in the 125cc Rotax Max Light class behind winner Michael McCulloch from the Kapiti Coast and top local driver Zac Stichbury, and winning the stand-alone 100cc Yamaha Grand Prix race over 14 laps. McCulloch and Stichbury were also first and second Rotax class competitors respectively in the Giesen Open 50 Lap Grand Prix, with McCulloch fifth and Stichbury sixth overall. 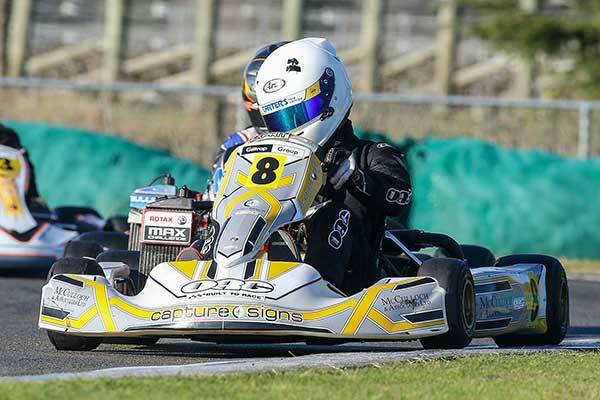 Auckland’s Aaron Cunningham was another driver to contest two classes, winning 125cc Rotax Max Heavy and finishing runner-up to former local Junior class champion and now fast-rising Stock Car driver Maddie Wise in the 100cc Yamaha 165kg division. Wise won six of the nine 100cc Yamaha ‘Heavy’ class heats and finished sixth in the class Grand Prix race, the latter won by Joshua Bethune from 2004 NZ 100cc Yamaha Light class title winner Josh Hart from Palmerston North, Brad Still from Tarananki and 2008 NZ title holder Karl Wilson from Wellington! Another – this time multi-time – former 100cc Yamaha Light champion (2011, 2016 & 2017), Daniel Kinsman, from Auckland, won the 100cc Yamaha 155kg ‘Light’ class title with three wins from nine starts, from 2004 class NZ Champion Josh Hart from Palmerston North, with Brad Still from New Plymouth third and Bethune fourth. Local driver William Pearson enjoyed one of the best winning margins at the meeting in the ClubSport 120 class, greeting the chequered flag first in seven of the nine heats to head off class stalwarts Stephen Muggeridge, Cliff Walsh and Graham Knight. It was closer at the front in the Briggs LO206 4-stroke class run concurrently, however, with eventual winner David Sharp and runner-up Shaun Hibbs claiming four heat wins apiece over the two days. 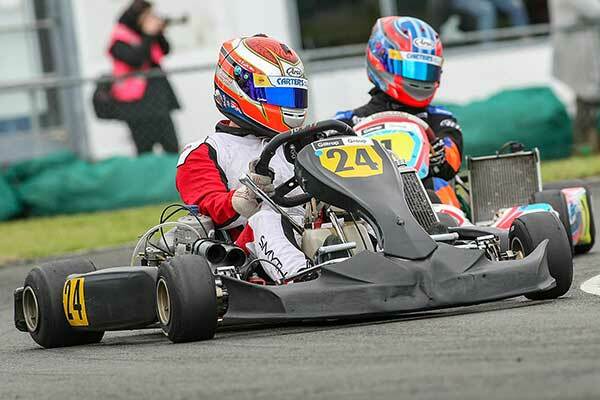 Picton’s William Exton underscored his status as one of New Zealand’s top Junior drivers by winning both the 125cc Rotax Max Junior class outright and the standalone Junior Grand Prix. 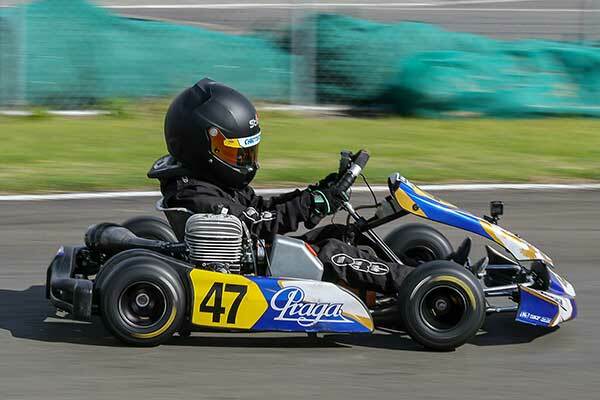 Exton won four of the Junior heats to claim class victory from Fynn Osborne from Hamilton and Ryan Wood from Wellington, and the Grand Prix from local ace James van den Berk, Fynn Osborne, Liam Sceats from Auckland, and Ryan Wood. The spoils were shared in the Vortex ROK DVS Junior class run concurrently, with Leo Scott from Whangarei coming out on top in six of the nine heat races to claim the class title from young Wellingtonian Ben Stewart, but Stewart beating Scott home in the Junior Grand Prix. The class/GP honours were also split in both other Junior Vortex classes. 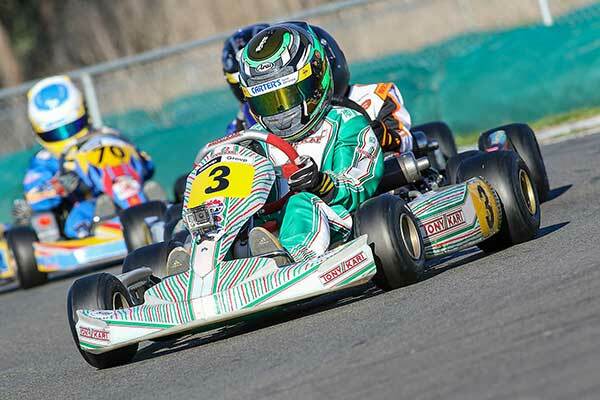 Local ace Thomas Bewley top-scored to claim the Vortex Mini ROK class win from class National Schools’ title holder Mitchell Sparrow, and Taylor Payne, but it was Levin’s Logan Manson who won the class Grand Prix from Sparrow, Bewley and Payne. Finally, Blenheim’s Arthur Broughan made the trip across Cook Strait worthwhile by winning the Cadet ROK class from Palmerston North pair Judd Christiansen (the reigning National Schools’s title holder in the class) and Blake Dowdall. But Christiansen ended up winning the class Grand Prix race from Broughan, impressive young local driver Grayson Stowe and Dowdall. The Carter’s Tyre Service Blossom Festival Grand Prix meeting was the result of more than a year’s effort and planning by event convenor Alan McNicol, race secretary Debbie Anderson and – at some stage – most of the current members of Kartsport Hawke’s Bay club. With over 100 entries across 12 classes plus as many as 35 entrants for the Vintage Kart demonstration runs the Golden Anniversary meeting was the biggest staged by the club in the recent past. KartSportNews | Powered by Mantra & WordPress.